Is it hard for you to put yourself first? Does self-care feel like a luxury you can’t afford? You’re taking care of everyone else, but you. You deserve more. You deserve self-care. Self-care is the practice of taking time for yourself and no one else. It’s carving out time to focus on you. It sounds selfish and that’s because it should be. However, we shouldn’t feel guilty about this time. If you don’t make time for yourself, it’s only a matter of time before you burn out. You won’t be able to spend time with your family and friends you love so much. You’ll be too exhausted and overwhelmed. But, quality is better than quantity. If you’re exhausted and burned out when you’re spending time with family and friends the entire time, is it worth it? I know what you’re thinking, “I can’t afford to go to the spa. I work full-time and I’m paying off my student loans” or “I feel too guilty to do anything for myself. My family needs me.” I HEAR you. Don’t worry! You can practice self-care in the comfort of your own home without spending loads of cash. In fact, many of these cheap self-care ideas that feel luxurious include ingredients you already have at home. Saving you more self-care time and money. There’s something magical about holding a warm beverage in your hand in comfy clothes. Make yourself some green tea, hot cocoa, or a cup of coffee. Put on your robe or favorite cozy outfit and chill. Grab a magazine or the paper, sip, and enjoy. Enjoy no technology or turn your phone on airplane mode and listen to your favorite music. When was the last time you weren’t on the phone, watching your dog or pushing a stroller on your walk? Take a short walk around the block or take a leisurely stroll through your favorite park, lake, or favorite street. Walking relieves stress, improves your mood, and clears your mind. Give yourself some love with this easy smoothie! The ingredients are rich in biotin aiding in the healthy growth of hair, skin & nails. For an extra treat, throw in a few dark chocolate chips and sip through a straw. Grab a snack and a glass of wine, cozy up on the couch and indulge in your favorite movie or TV show. So what if your TV show is a guilty pleasure? You shouldn’t feel guilty about watching it! Our brain needs time to turn off and be entertained. And watching TV does this! When was the last time you made cookies for yourself? When was the last time you baked for fun? Put on your favorite tunes, jam in the kitchen, and bake for fun. Grad your ingredients and make YOUR favorite type of cookies while you’re at it. I won’t tell anyone if you lick the bowl. Ok, the name sounds super weird, but sheet masks are inexpensive (~$3) and have amazing results. I did one every day the month leading up to my wedding and skin had never looked better. My dear friend from Korea, Sunny, recommend them because they are very popular at home and she’s been doing them for years. I took her advice because she has AMAZING skin all year-round. I asked her what her secret was and she “sheet masks.” I looked at her blankly, but we walked over to the nearest drugstore and she showed me where to get them. Sheet masks can be found in the beauty section of drug stores, major retailers, and online. There are all different kinds, but I have dry skin so I always go for a moisturizing one. There are sheet masks for wrinkles, acne, and oily skin too. Open the packaging and leave and cover your face. There are holes for your eyes, nose, and mouth. Leave it on for the recommended length on the packaging. It’s usually 10 minutes to a half hour. Remove and rinse your face. That’s it. You’re done and your skin is glowing! Bath bombs are a great way to take your bath to the next level. You can find them at your drugstore for $3-10 or online. Place the bath bomb in the tub with you and let it fizz, creating a relaxing aroma for your bath. If you aren’t into bath bombs, amp up your experience by putting 5-10 drops of essential oil of your choice in the tub with you. If you’d like to practice self-care outside of the home, check out that museum you’ve been eyeing or take in your favorite area attraction solo. Enjoy the quiet. You’ll notice things you’ve never noticed before with friends or family by your side. If trying new things feels more luxurious, rent the guided tour headphones to feel like you’re on a private tour or actually do the guided tour this time to gain new insight. For a moisturizing cuticle treatment, apply coconut oil. To make it last longer, add a top coat. If it chips, you’ll have the polish on hand, ready for easy touch-ups. Apply moisturizing lotion on your hands or feet and lay down and relax while it’s drying. For an even more luxurious experience put on an eye mask or cover your eyes. It’s perfectly ok to doze off! Remember: this is YOUR time. Or even give some of these amazing DIY self-care recipes to take your self-care to the next level! Yep, you read that right. Adults can color too and if you haven’t tried it, you really should! Buy yourself an adult coloring book (under $10) or print out coloring pages online. Coloring is calming and allows you to express your creativity. You know that amazing feeling when you get to soak your feet pre-pedicure? You don’t need to go to the salon to have the same experience. Find a water basin and fill with warm water. Add ½ cup of Epsom salt or fine sea salt. Optional: Add a few drops of your favorite essential oil. Let feet soak for ten minutes. Remove one foot at a time and exfoliate each foot by using a warm washcloth to wipe away dead skin. Afterward, rinse your feet with clean water in the bathtub. Moisturize with your favorite lotion. 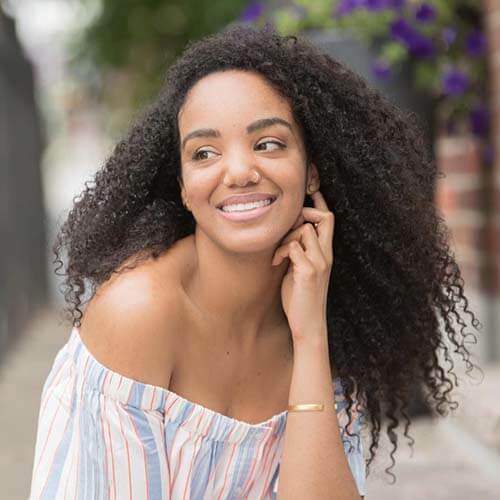 A hair mask is one of my absolute favorite ways to indulge on a budget because it’s so easy AND effective. You can pick up a hair mask in the beauty section of your local drug store or online. Simply follow the directions on the packaging. A hair cap is included in the package. You can either leave it on for an hour or two during the day or for a more intense treatment, leave it on overnight and rinse it out in the morning. I like to put on a hair mask while I’m doing work or cleaning because I completely forget I’m wearing it and then after I rinse it out, my hair looks and feels fantastic. Your mission is to set aside self-care time this week. And every week. Starting right now. Not next week, this summer, or when you get a new job. Right now! Maybe you can only carve out a half hour, but any amount of time is better than no time at all. You can schedule it as “Me time: do not cancel” (with your favorite emoji after it of course) or “Me time: you deserve this” in your calendar. Self-love is important, so here are 10 shareworthy self-love quotes for you. 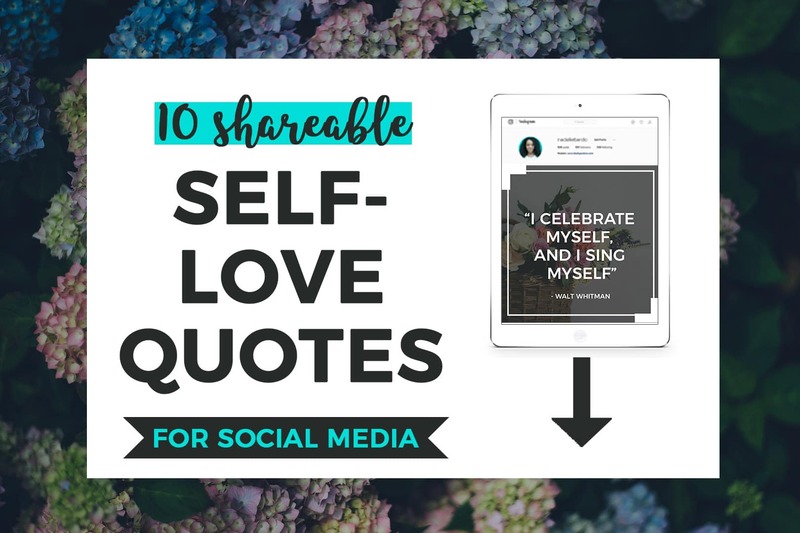 This download comes with high-resolution, graphic quotes formatted just right for Instagram (square) AND Facebook/Twitter (landscape). You can share the self-love to encourage some much-needed self-care. Attribution is not required, but of course, appreciated (@nadaliebardo). If you love these images, all I ask is that you share this post. Sign up below to get your 10 FREE Shareable Quotes + get weekly tips to help you slay your goals. If you have an hour, take a complete hour to yourself with one of the self-care ideas from above. If you have an entire day, fantastic! Soak it in and don’t feel guilty. (My personal struggle with time off.) Self-care is a practice, not a quick-fix. We need to practice self-care consistently in order for it to make a difference. 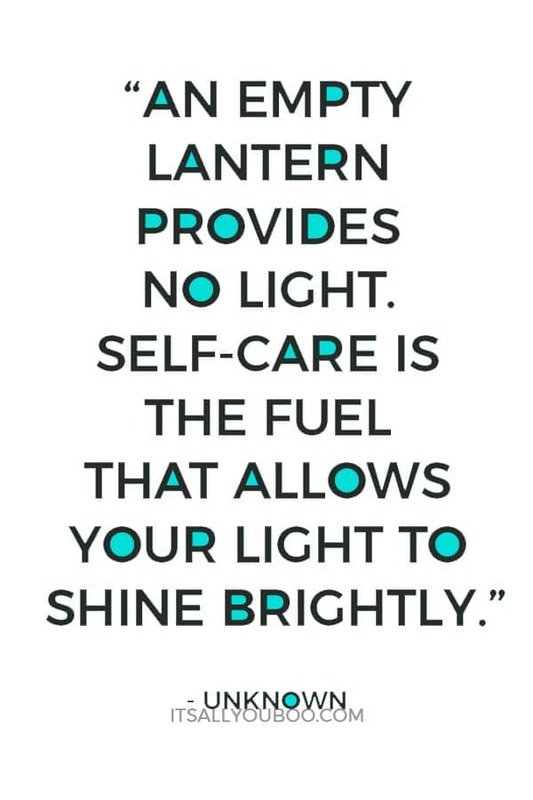 Without self-care time, we are worn down, exhausted, and can’t be the best boss babe, partner, mom, dog mom, or friend we can be. 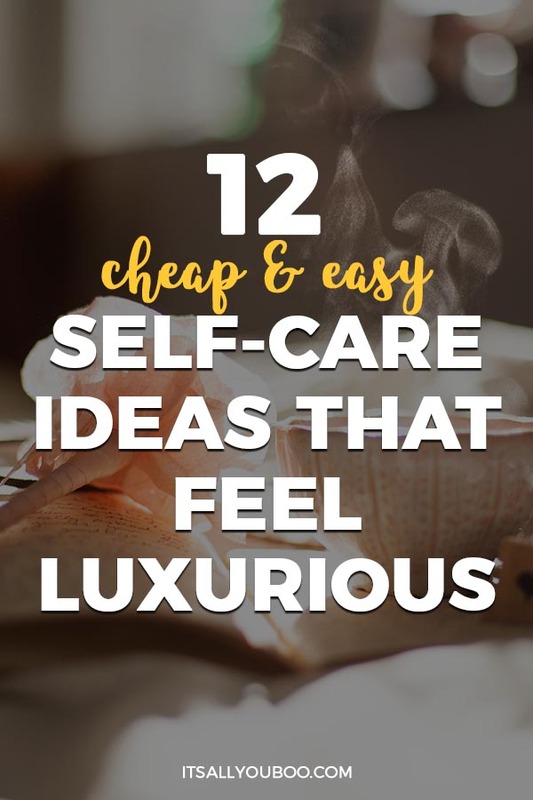 Now that you have cheap and easy self-care ideas, there’s no excuse! Your self-care is affordable and a must! No one else can provide self-care but you. What affordable self-care idea will you do? 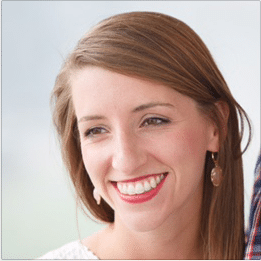 Amy is a Lifestyle & Travel Blogger from Chicago and creator of Top 8 Amy. When she’s not blogging or teaching 1st grade, you can find her at the dog beach with her two pups or trying new Chicago restaurants with her husband. Sweets and a spa day is all I need! Being without my phone after work is my absolute FAVORITE thing. It was hard at first but now I just come home, plug my phone in and enjoy my evening. Probably some of the most underrated self care there is right now! I so need to get back to an intentional time without my cell phone nearby. It is super gorgeous out today, I am heading out to sit on the patio and color, it’s been way too long since I took a break for me. What a great idea, Lisa. Now that it’s summer weather here in Chicago I’ve been walking my dogs sans phone and it’s been wonderful to take in the fresh air after being cooped up. A patio sounds delightful! Awe, thanks so much for the blog love. Haha, sometimes I know you just want to get to what you’re looking for. 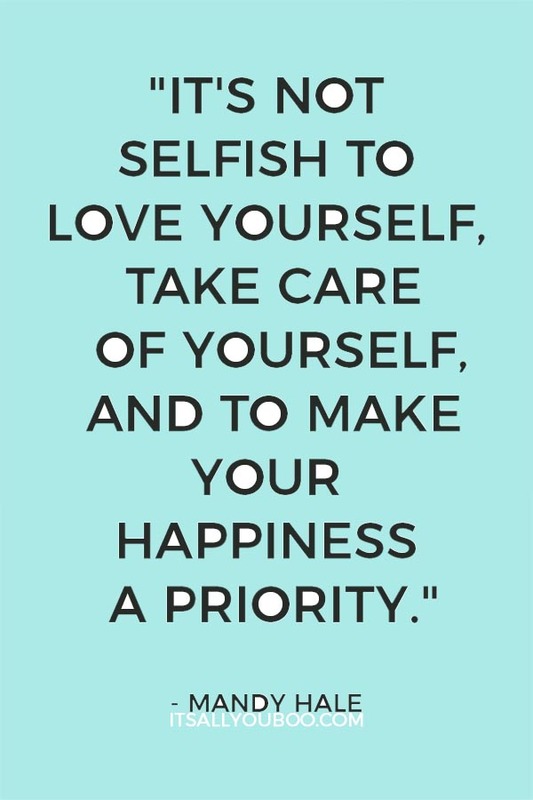 Happy taking time for self-love and care. You are so welcome, glad you’re enjoying these affordable self-care ideas. Hello bath time, it’s the simplest and easiest. And added bonus it forces you to unplug for some much needed me time. I LOVE going out without my phone. It seems so weird at first, but it is honestly so liberating to be disconnected! Definitely! It feels so good to be free! 🙂 I also had a chance to check out your most recent post. I loved it! Going without the phone seems difficult. I can’t live a minute without my phone. It makes me feel like a caveman. But, I have heard my mom saying so many times to go out without the phone and talk to people. I guess I have to try it now. Go to a sport, to yoga class etc. Moving is very important to treat yourself good! Love this idea too! Yoga is my go-to. What’s yours? Thank you DD! I hope you can give them a try. Do you have a link to any of your favorite smoothies? I’m always trying to find new go-to favorites! I never make time for myself as I’m always running around helping my family or working. But this has shown it doesn’t take long to do something which can make a big difference. Smoothies are my go-to to help me slay the day. I also love the coloring idea because it helps with soooo much stress! Hi Kasia, aren’t smoothies the best? I like how you can mix them up and do a different one each day of the week. There’s something so nostalgic and relaxing about watching your favorite movie:) So glad you enjoyed the post! I am all for cheap and simple diy treats. After all, I am a mama on a budget. This post truly made me smile. I have two colouring books 🙂 Never too old to take a break and do something creative . I also love the fact that you introduced me to some new beauty products. I am a bit of a beauty junkie. Every Sunday I whip up a mud mask. give myself a pedi and try to rest up a bit. I love this article! I think I said that already. Yayy for self-care for the cheap. Wow, I love your ideas. I’ll definitely have to check out the mud mask. I definitely tried to keep them budget-friendly because spas are amazing but can get pricey! I’ll definitely be checking out your affirmations post! These are great tips for self care. It is so easy to forget to pamper ourselves. I really like the idea of taking a walk without your phone! I love all your beautiful ideas , if only we could all take heed of this advise and follow it. Exactly! It’s hard to slow down sometimes when we get busy but we are just asking for burn out if we don’t. These are some wonderful self-care ideas! My favorites are making a smoothie for myself and binging Netflix! 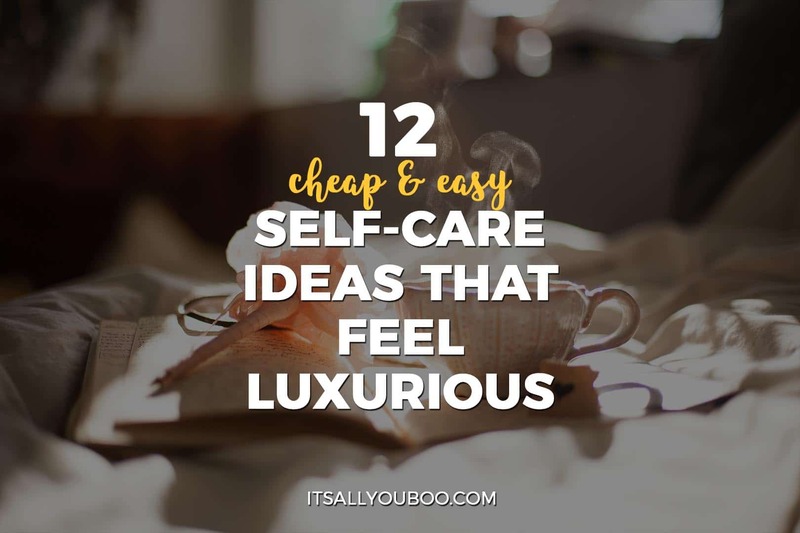 Woot woot, so glad you’re liking this list of cheap, yet awesome self-care ideas. Hello snack time! Thank you! Any good Netflix shows you’ve been loving lately? I honestly think that Netflix is my idea of self-care. I always find something new to watch. I will be doing many of these things… especially a bath bomb because it’s been a minute since I have relaxed! But today I will go for a walk WITHOUT my phone. Thanks for these reminders and tips! I’m a sip and snuggle kind of gal. That teapot is gorgeous! I hadn’t even heard of the FitBit necklace – wow! OMG isn’t it? I have such a weakness for anything tea and coffee related. Hello simple pleasures. I am too:) Especially on a rainy day! Makes the gloominess seem like it was meant to be! There is so much goodness in this post! I especially like the idea of taking a walk without your phone. I know I need a digital detox from time-to-time and feel so much better afterwards. Ohhh yes indeed! Amy provided us with such a fantastic list of self-care ideas! And so adorable too. Love the idea of a digital detox, sometimes the best self-care is disconnecting.